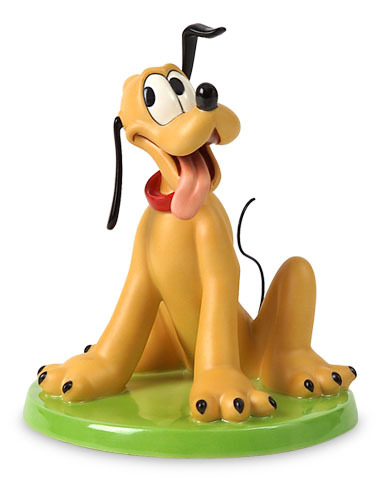 Pluto, also called Pluto the Pup, is a cartoon character created in 1930 at Walt Disney Productions. He is a yellow-orange color, medium-sized, short-haired dog with black ears. 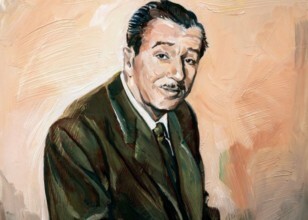 Unlike most Disney characters, he is not anthropomorphic beyond some characteristics such as facial expression, though he did speak for a short portion of his history. He is Mickey Mouse's pet. Officially a mixed-breed dog, he made his debut as a bloodhound in the Mickey Mouse cartoon The Chain Gang. Together with Mickey Mouse, Minnie Mouse, Donald Duck, Daisy Duck, and Goofy, Pluto is one of the "Sensational Six"—the biggest stars in the Disney universe. Though all six are non-human animals, he alone is not dressed as a human. 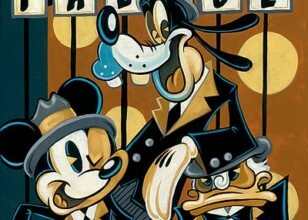 He debuted in animated cartoons and appeared in 24 Mickey Mouse films before receiving his own series in 1937. All together Pluto appeared in 89 short films between 1930 and 1953. Several of these were nominated for an Academy Award, including The Pointer (1939), Squatter's Rights (1946), Pluto's Blue Note (1947), and Mickey and the Seal (1948). One of his films, Lend a Paw (1941), won the award in 1942. Because he does not speak, his films generally rely on physical humor. 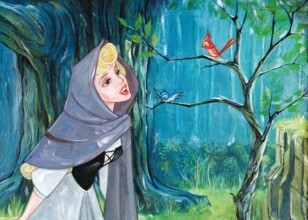 This made him a pioneering figure in character animation, by expressing personality through animation rather than dialogue. Like all of his co-stars, the dog has appeared extensively in comics over the years, first making an appearance in 1931. He returned to theatrical animation in 1990 with The Prince and the Pauper and has also appeared in several direct-to-video films. Pluto also appears in the television series Mickey Mouse Works (1999–2000), House of Mouse(2001–2003), Mickey Mouse Clubhouse (2006–2016), and the new Mickey Mouse shorts (2013–present). 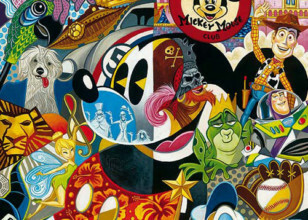 In 1998, Disney's copyright on the character, set to expire in several years, was extended by the passage of the Sonny Bono Copyright Term Extension Act. Disney, along with other studios, lobbied for passage of the act to preserve their copyrights on characters such as Pluto for 20 additional years.